Brussels seems to be the capital of European cinema, considering the many festivals that are held in the city. Among others, Cafébabel had the chance to attend the last edition of the Brussels Film Festival and we enjoyed the screenings while taking advantage of the nice weather! The 15th edition of the Brussels Films Festival already ended, yet we are still savouring the chilly air on our faces that we felt while watching the films from the comfort of our deck chairs. It seems the Brussels Film Festival picked the right week to be held! From the 10th to the 23rd June Flagey, the Cinematek, Theatre 140 and the White Cinema hosted a selection of the best European films released in recent years in order to celebrate the richness of our cinematographic culture. 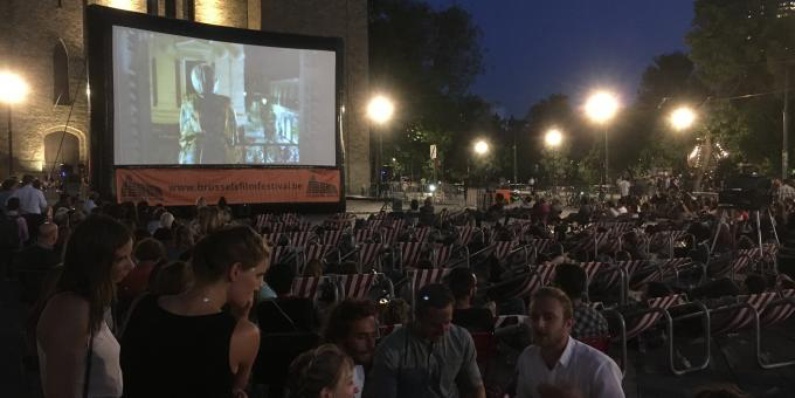 Aside from the aforementioned cinemas, the open-air film screenings were a fantastic idea, and were certainly a great success. After nine months of sheltering inside from the cold weather, nobody wants to be shut in a dark and cold cinema hall. This is why (and probably also due to the free entrance ticket!) 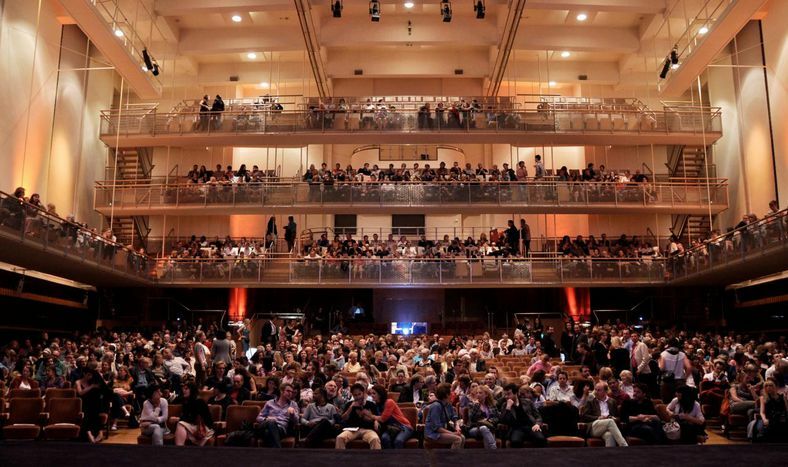 the organisers counted between one and two thousand participants every evening at the Flagey square screening. The relaxed and cosy atmosphere generated by the inflatable screen also attracted students still dealing with their blocus, as well as the team at Cafébabel! We didn’t want to miss this opportunity! Workshops, conferences and professional meetings were organised during that week, but of course the screenings were the main attraction. Some of the selected films were well-known but Cafébabel’s attention was caught by some unusual titles instead. 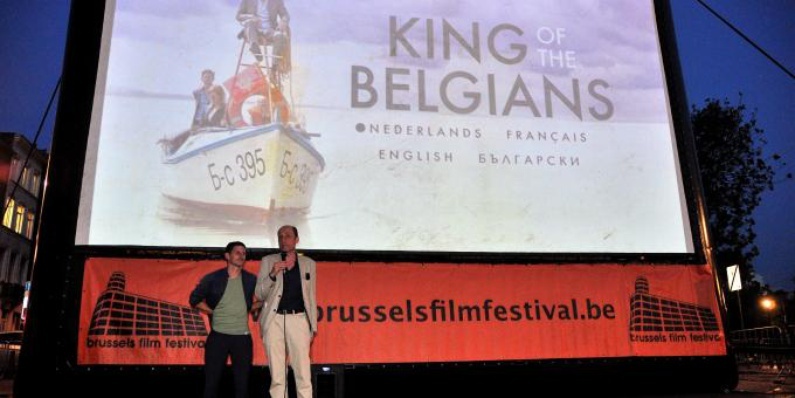 First we decided to attend the screening of “King of the Belgians”, a road movie presented at the 73rd edition of the Venice Film Festival. Directed by Jessica Woodworth and Peter Brosens, the comedy takes us from the question of “what’s Bulgaria?” to “what’s Belgium?”. Set in a region that is often perceived as unstable, such as the Balkans, a dormant Belgian king must deal with ordinary life for the first time while he tries to make his journey back to save his homeland from disappearance. This tragicomic journey from Istanbul to Albania reveals the limits of the king’s perspective (which represents more widely our Western perspective). A number of interesting questions are raised by the characters that are all interesting in equal measure. In any case they do not provide any answers for the audience, rather they invite us to reflect on some issues such as the concept of the monarchy and the existence of states. A deep and ironic film, even if you have to be a bit patient! The second film we decided to attend in its open-air screening was "DOGS" by Bogdan Mirică. Presented at the Cannes Film Festival in 2016, the film brings the audience immediately right into the middle of events. The audience then gets to know the protagonist, Roman, and his story, while meeting several other characters who cross his path. Step by step, slowly (really slowly! ), the public starts to grasp the plot of this brooding and overwhelmingly harsh film. Once again "DOGS" brings us to discover the unknown Eastern-European and Balkan region, at the border between Romania and Ukraine. It’s here that Roman, in order to sell his land, has to deal with his grandfather’s past which reveals the bloody nature of men. This time the audience is faced with the striking differences between the countryside and modern cities. Crime is at the centre of the story, which reveals in this way the conflict still perceived by these communities between modernisation and tradition. Both movies seem to be linked together by the region in which they have been set. Indeed both give us a glance of these cultures, an impression of their ordinary lives, so distant from ours, and the feeling of a parallel time. Through slow scenes and great, empty, dusty and dry landscapes, these films bring us into the reality (and not our biased imagination) of these countries. Through their different plots and the different themes they approached, these two films provide us with a common general overview on these cultures, which reminds us of the feelings, the struggles and the challenges we perceived in “The Good Postman” at the Millennium Film Festival . Thus the Balkan region appears more and more fascinating, fragile and frightening. If the aim of the Brussels Film Festival is to celebrate the richness of European cinema then these films certainly achieve this purpose, producing a great impact on the audience and allowing us to discover another side of Europe.